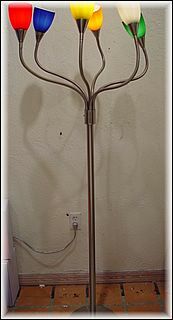 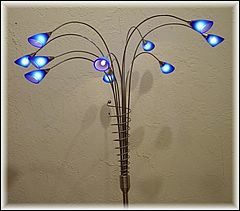 Description: These lamps have chrome bases plus cone with ten blue and white interchangeable sconces, which diffuse the light of ten watt-halogen bulbs (included). 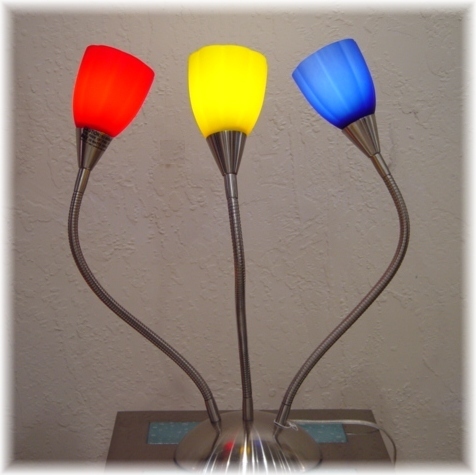 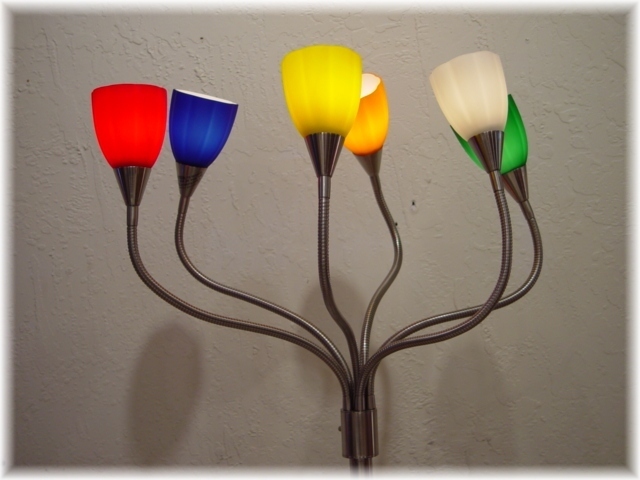 Description: These lamps feature a brushed steel base and frame, with 25-watt candelabra bulbs bolded shaded by multi-colored glass sconces. 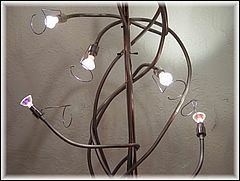 Description: Make your own design with this industrial styled lamp. 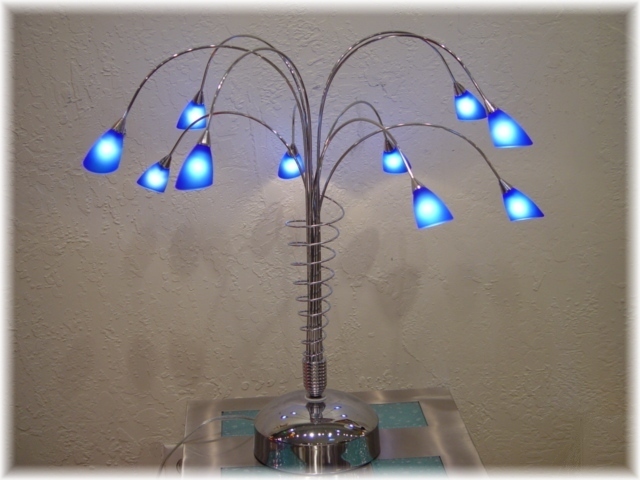 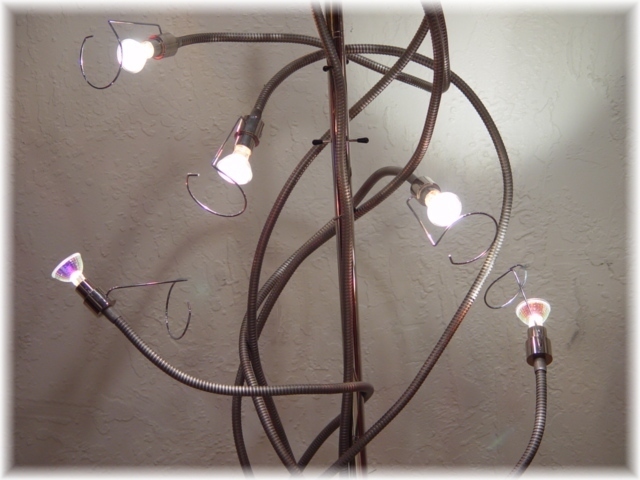 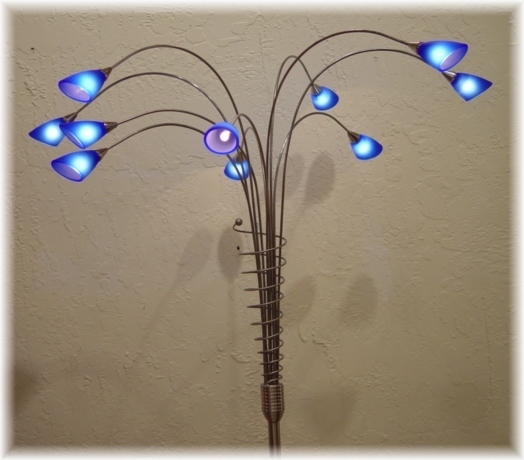 It features adjustable arms from the base, topped with seven halogen bulbs, making for a unique art piece. 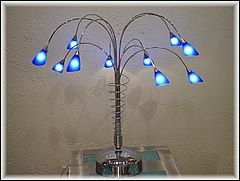 Copyright © 2002-2005 Lincoln Futon and Furniture. All rights reserved.